Length adjustable from 18 inches down to 17 and 16 inches. 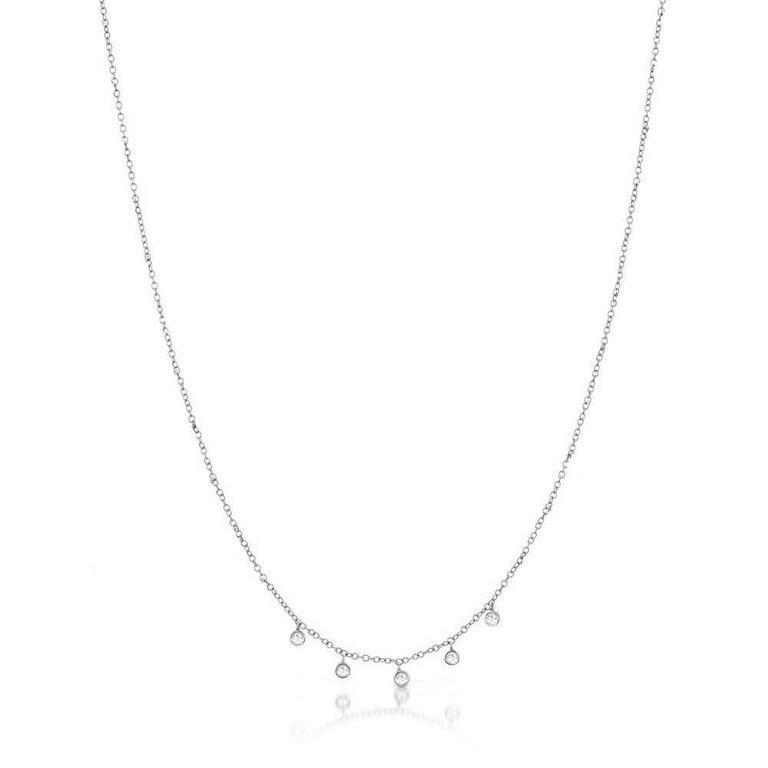 Ladies diamond choker necklace of contemporary styling. It is crafted in 14k white gold and set with five round brilliant cut diamonds that are full bezel set. The necklace is adjustable in length from 18 inches down to 17 and 16 inches with small jump rings at the clasp. Also available in 14k yellow gold. Please call in store for details.